Who says your gifts always ought to be big and expensive for them to qualify as a Mother’s Day special? Well, this time around surprise your mom with something pensive and multipurposed. Get in a towel set for her that she can use on a daily basis. Not to forget, it will also act as a sweet reminder of your gesture. If you are out there looking for options then try the Cooper Towels. These come in a wide range of bright colors and neutral tones so you always have an option of choosing a good set. These towels are known for their good absorbency, softness and fabric. A must-have gift for all moms out there. How about a gift that your mom and you can wear all the time and one that hints at a beautiful bond between a mother and a daughter. We are of course talking about a mother-daughter necklace. 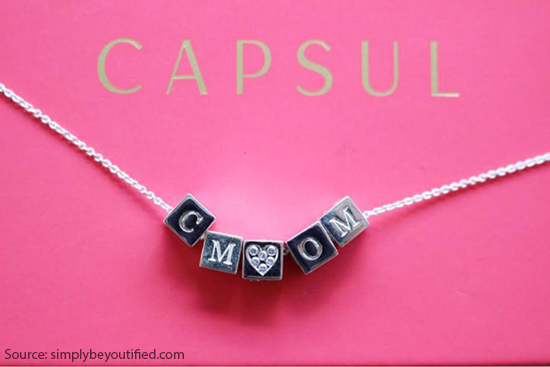 Mother-daughter necklaces are all the rage right now and makes a perfect gift for your mother. Etsy, Jared and Erin Pelicano have a plethora of options when it comes to mother-daughter necklaces available in different ranges. Wine is a luxury and a fabled friend of old times for every mom out there. Whether it is just enjoying some relaxing time with friends, husband or just alone. Wine can make a great companion and soothe the nerves. This time around, go for a twist on the traditional wine bottle and get your mother a wine soap. Yes, they are available for sale nowadays and what better way to enjoy a winey aroma than having a soap that smells like one. Get one for yourselves today at Uncommon goods hosting a wide range of aroma wine soaps that come in sets of 4. Our mothers are always running or dashing out there, either for dropping off the kids, getting to the nearest grocery store or just running around to do the chores at home. Now the common link to all these things here is a pair of walking slippers, shoes or sandals. How about gifting your mom a good pair of comfortable slippers that she can actually use everywhere she goes? Well, you have the perfect option for the Ugg Ansley Slippers that are just perfect for the mother that’s always on the run. 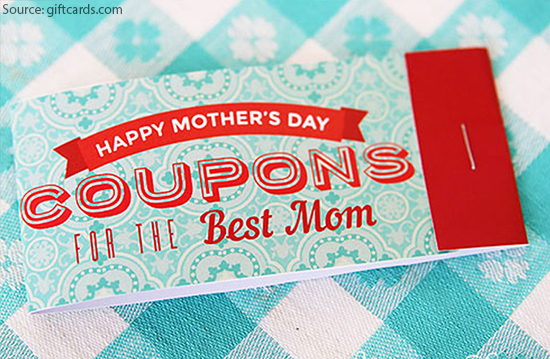 If your mom is a wanderlust seeker and likes to take the occasional time off to travel then travel coupons are the perfect gift to invest in this Mother’s Day. Try out the different Travel Coupons from OneTravel that provides a multitude of offers on worldwide destinations with the best bargain flight tickets, hotels, car rentals and different vacation packages. For a mom who loves to travel, you are definitely going to get some mom love with this amazing gift here. Nothing better than great deals for mothers out there. Get your mom some great deals with Art & Home Coupons providing a range of options and discounts on home products like tapestries, home furniture, fine art tapestry wall hangings and also free shipping options on a wide range of products. What better gift than an endless discount on home products this Mother’s Day? Nothing quite like a good bottle of perfume to lift your spirits. Well, this Mother’s Day, gift your mom a bottle from some of the finest collection of Perfumes from around the world on Ace Perfumes & receive a wide range of offers on their different range of perfumes, also different discounts and free shipping. Jewelry is a woman’s favorite friend and partner and no woman has ever said no to a partner they can wear on for casual and special occasions. This time around, invest in some custom jewelry and different jewelry items at Peoples Jewellers. The best part is that the website is offering a wide range of products on Peoples Jewellers products. This includes free 60% on diamonds, rings and bracelets, free shipping on $199 and above and $50 off on signing up with Peoples Jewellers mail. So there we have a list of some of the finest gifts and cheat sheets that you can indulge your mother this Mother’s Day.